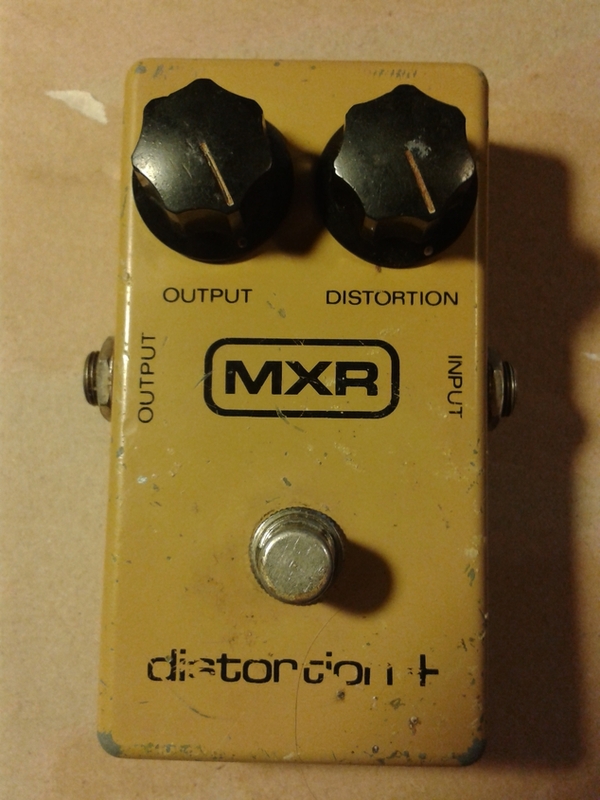 MXR Distrotion+, block logo and no LED. Dating back all the way to 1977. Got this unit as an addon to one special deal. The deal was so good that i thought that someone was trying to to setup a oldschool swindle and rip me off of my money. Turned out that “too good to be true” deal was in fact true. Ended up with metal boxed SF5 and TS5 and this unit for a price that you’ll never see. Let the sum be a secret between me and the seller (Thanks Marko! ), who bought this used back in 1990. First of all, the unit was not in working condition. Opened it up and it was pretty obvious why it wasn’t working. The input jack and board input were shorted and the output jack didn’t connect to anything. I measured the switch, and while it was a bit wonky, it worked. Used some solvent to clean it and now it works almost as new. Soldered the mixed wires to their rightful places and tried again. Nothing. Seller told me that the pedal might have had an incident where it was fed a wrong polarity. Since the design doesn’t incorporate any sort of polarity protection as it’s meant to be used with battery only, one of the previous owners drilled a hole to the front panel to place a battery adapter to original battery snap. The snap was gone too. 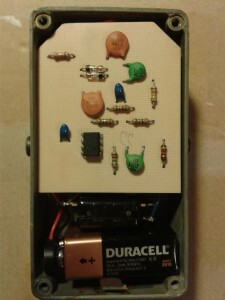 All the components measured correct, except for the UA741 opamp. The output pin was getting nearly 8 volts while both inputs measured correct near Vref voltages. So my diagnosis was that the opamp had suffered a trauma from reverse polarity and that had burned the chip to the point where it leaked most of the supply voltage to the output of the opamp. 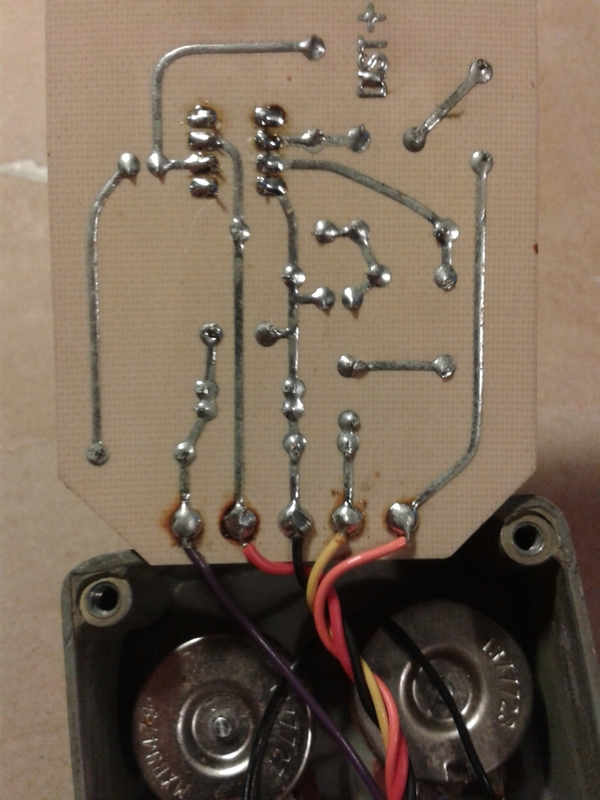 As i don’t have notable vintage supply of 35+ year old components, i had to sub that opamp for LM741, which is the same thing – just manufactured a lot later. After those repairs the circuit fired up. 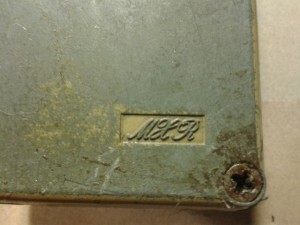 The pot codes show that the pots were manufactured in the week 21 of 1977, so it is safe to assume that the pedal was built in 1977 or early 1978 at latest. The Alalogguru’s schematic is simple to read. There’s one gain stage that feeds the hard clipping stage created with two 1N270 germanium diodes, which then pushes the signal to output. What i find to be the most interesting thing about this pedal is that the board isn’t fastened to anything. It just sort of floats in there with all the components bent horizontal. The bottom plate is a thing of beaty too. Astonishingly good. There’s at least three million kilometers between this and the new Dunlop made reissue. The tone really puts my praising of the OD250 reissue to the test. The output is lowish, but enough beat the clean signal fair and square. This creates the best tones with distortion knob maxed or near maxed. May be in part because of the components age, but damn it sounds good. 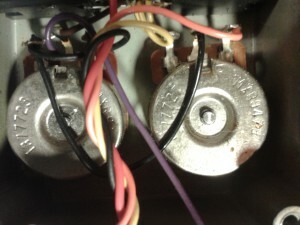 Warm, soft overdrive that sounds like analog heaven with both, single coils and humbuckers. Too bad that these are getting rare and the reissues aren’t helping those who want the sound. At all. Entries (RSS) and Comments (RSS). 37 queries in 0.258 seconds.